It’s a familiar scene: You’re standing in line at the grocery store, almost finished checking out. For the fourth time in a row, your child asks for a piece of candy strategically placed at kids’ eye-level in the checkout line. You’ve repeatedly said no, when suddenly, the tantrum starts. His legs and arms flail, and then he lets go with an ear-piercing scream and begins hitting the floor. Meanwhile, between muffled apologies and frantic bagging, you attempt to get as far away from the store as possible. Why do children have such loud and embarrassing temper tantrums? And what can you as a parent do to help make them stop? One important fact to recognize is that we all have temper tantrums occasionally. Think back to the last time you felt frustrated trying to get your printer to work. You may have thrown something, yelled out loud, or even sworn at it. This is basically an adult tantrum. The screaming, crying, and hitting that your young child shows is their version of a tantrum. Kids are no different than us; they get frustrated and angry too. The first thing to keep in mind is that your child’s temper tantrums are not directed personally at you. Temper tantrums usually occur between one and three years of age, a time in your child’s development when they see themselves as the center of the universe, but older kids have temper tantrums too. Between the ages of four and seven, it’s not uncommon for children to yell, throw things, or just plain fall apart when they don’t get what they want. In both cases, your child’s tantrums are all about the perceived lack of control of their surroundings, so try not to personalize them. While this may be difficult to do, remember, your child lacks the daily self-control that we adults take for granted. Temper tantrums are the only way your child knows how to express their frustration with the world around them. Think of ways to distract your child. Young children have a very short attention span. The average two year old will change the focus of their attention approximately every minute, so you can use this to your advantage if you feel a tantrum brewing. If you are at home, redirect your child to a new task or toy and calmly talk about something new. Before going out, bring a bag of distractions in case your child begins to squirm or reach for items you are not going to buy. When you feel a tantrum coming on, take something out of the “fun bag” and offer it to your child. Examples can be a colorful notepad and a bag of bright markers, a small sack of their favorite action figures, an interactive picture book, a small musical recorder or radio, or, when all else fails, a small snack. Remember to rotate these items regularly so that your child does not tire of them. By using a steady, cheerful voice, you can distract your child from the object of their desire. Keep it quick. Understand that your child is not going to do well if you drag her on twelve errands in a row. Kids get tired and bored easily, and no amount of distractions will ward off a tantrum if they are tired, hungry or need a change of scenery. Be aware of the signs that your young child is heading towards a melt down, such as whining, crying, or complaining. These behaviors are the red flags you will need to learn to recognize. When they occur, respect that your child may be unable to continue as planned and curtail your plans for the day. Consider hiring a babysitter or trading off play dates with another parent so you can get through your weekly errands quickly. The attention factor. Lastly, remember that kids often have temper tantrums because they are not getting enough attention. Children are smart and know that even negative attention, including a parent scolding them, is better than no attention at all. Work hard at recognizing the times when your young child is doing something well and comment on it. If you can, set aside some special time each day for an activity–even if it is a short one–whether it be doing a puzzle together, story time or taking a short walk with your child. This rewards your child for their positive behavior and makes them strive for better behavior in the future. Do not give attention to the tantrum. One of the biggest mistakes parents make is to try to help their child “work through” their tantrum. Behaviors associated with tantrums should not be acceptable to you or your family. As adults, we would not sit back and accept a person screaming, swearing, or throwing things at us, so we should not accept this from our children either. Children need to learn early on that when this behavior starts, they will be isolated from the rest of the family until they find more appropriate ways to act. When your child is done with their tantrum they may feel embarrassed or sad. This is a good time to talk about why their behavior was wrong and also ways to do better in the future. A lot of love, patience, and hugs can go a long way at this point. Take control of the situation. When a child is having a tantrum, they are signaling to you that they are out of control and helpless to rectify the situation. Although you may also feel helpless, this is the time to take control of the situation. Your child needs to see that you are confident and able to handle things. If you are at home, and the tantrum will not stop, place your child somewhere to ensure his safety until he can calm down. Pick the same place and put your child there each and every time they cannot calm down. If you are in public, calmly tell your child you are leaving, even if that means your shopping doesn’t get finished or you have to leave a play date. 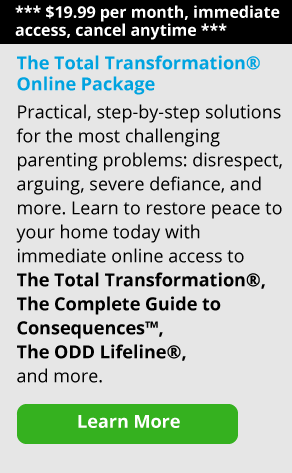 Children need to know that their parent is handling the situation for them when they are unable to do so themselves. Teach your child the importance of the word “No.” Don’t waffle when your child acts up as a way to avoid a confrontation or to stop a tantrum. Your child is brilliant at knowing how to get what they want from you. If you hesitate and give in even once when a tantrum starts, they have learned that tantrums will get them whatever they need in the future. 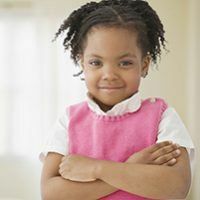 If your child is in full tantrum mode, tell them, “You can’t always get everything you want.” Follow up by removing them from the situation or isolating them temporarily until they calm down. Be firm and consistent and your child will learn that having a tantrum will not get their needs met. Temper tantrums are a part of all of our lives, whether we are children or adults. Your job as a parent is to help your child recognize that the behaviors associated with a tantrum are not acceptable ways to act either at home or in public. A loving parent also helps their child through this phase by setting firm boundaries, creating consistent rules, and modeling for their child appropriate ways to act, both at home and in public. You may not be able to eliminate all temper tantrums from your lives, but you can create an environment that allows both you and your child to get through them together.